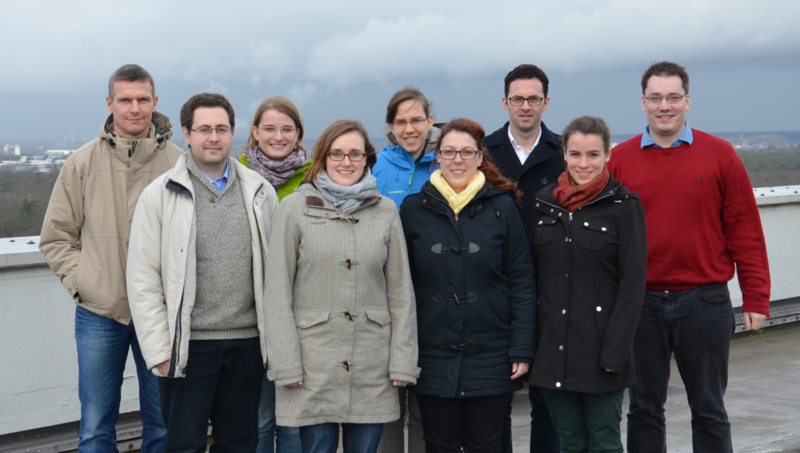 Von links nach rechts: Dr. Christian Barthlott, Constanze Wellmann, Barbara Dietel, Olimpia Bruno, Christian Latt, Prof. Dr. Corinna Hoose, Patrick Kuntze, Dr. Linda Schneider, Dr. Hassan Beydoun, Jonas Hesemann, Dr. Quentin Coopman, Dr. Andrew Barrett. Auf dem Bild fehlt Dr. Monika Niemand. Dr. Luisa Ickes - Postdoc, 2016. Markus Karrer - Bachelorstudent, 2015; Masterstudent, 2017-2018. 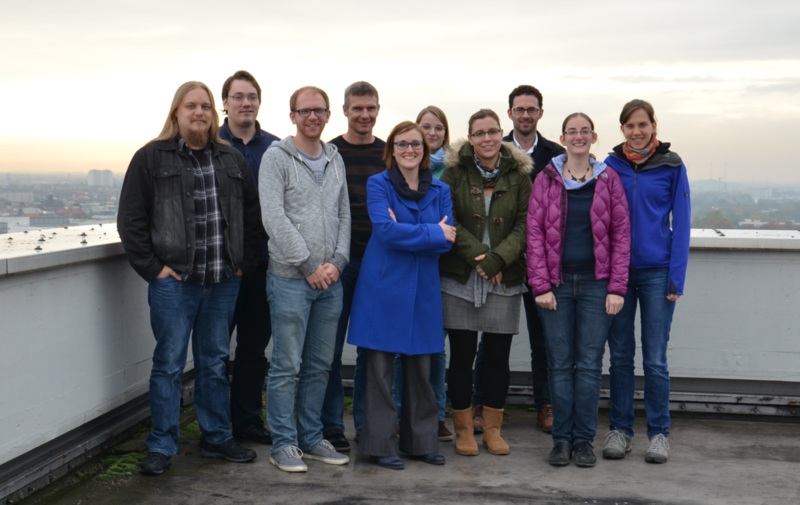 Bachelorarbeit: "Cloud phase distribution in deep convective clouds"; Masterarbeit: "Comparison of a new microphysics scheme with observations via radar and lidar forward operators"
Dr. Katharina Loewe - Doktorandin, 2014-2017; Postdoc, 2017-2018. Dissertation: "Arctic mixed-phase clouds: Macro- and microphysical insights with a numerical model"
Dr. Marco Paukert - Diplomand, 2012; Doktorand, 2013-2016; Postdoc, 2016. Dissertation: "Droplet freezing in clouds induced by mineral dust particles: Sensitivities of precipitation and radiation"
Dr. Isabelle Steinke - Doktorandin, 2010-2013. Dissertation: "Ice nucleation properties of mineral dusts"
Dr. Sylvia Sullivan - Gastwissenschaftlerin, 2016. Dr. Romy Ullrich - Doktorandin, 2013-2016. Dissertation: "Development and Model Application of a Surface-Site-Based Parametrization Framework for Heterogeneous Ice Nucleation"
Maiken Vassel - Bachelorstudentin, 2014; Masterstudentin, 2017-2018. Bachelorarbeit: "Vergleich verschiedener Parametrisierungen für die Eisbildung in Mischphasenwolken am Jungfraujoch"; Masterarbeit: "Arctic Multilayer Clouds"
Dr. Linda Schneider - Doktorandin, 2015-2018. Dissertation: "Relative Impact of Surface and Aerosol Heterogeneities on Deep Convection"